di: VersiliaToday Redazione | Pubblicato il 20/09/2014 at 19:00. Viagra prezzo: Per alzare alza… ma quanto pesa sulle tasche? Il leggi di più Brian O’Connell is an American multi-instrumentalist, composer, arranger, record producer and actor. Best known as the bassist and producer for Pakistani sufi rock band Junoon, O’Connell has since gained respect as both a musician and a producer in the Pakistani music industry. Kamagra Oral effetti collaterali clomid 100mg Acquistare Kamagra Oral Jelly online Kamagra Oral Gel è un trattamento popolare O’Connell’s musical roots stretch back to Tappan, New York. In 1978, O’Connell, then a sophomore at Tappan Zee High School, was invited by two classmates to join their band Apple Corps”, a group that played mostly Beatles covers. Shortly after O’Connell joined the band, Apple Corps changed its name to “Sloke”, and modified its repertoire to include Led Zeppelin, Boston, and the Grateful Dead. In early 1979, O’Connell and the other Sloke band members invited their friend Salman Ahmad to join the group. Ahmad had only recently taken up the guitar, but was already good enough to play with the band at a Tappan Zee High School talent festival in February of 1979. That performance marked the first time that O’Connell and Ahmad performed together publicly. 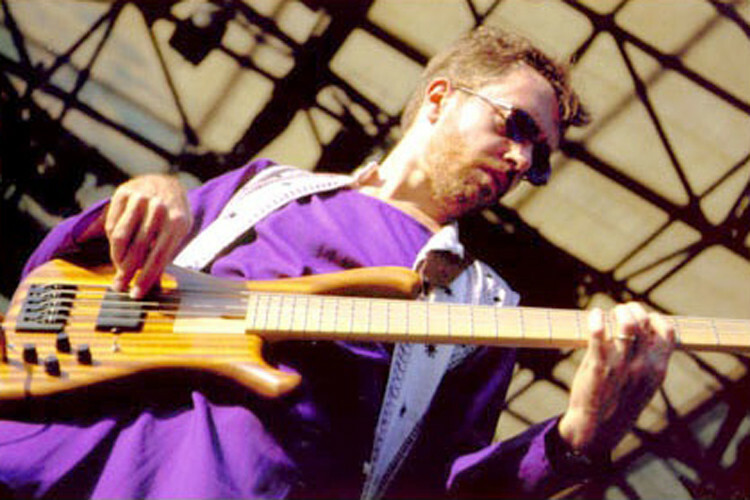 Following the departure of Sloke’s bassist several months later, O’Connell and Ahmad formed a new band, “Eclipse”. Before the two could take their aspirations onto a bigger stage, Ahmad’s parents moved back to Pakistan in 1981, and Ahmad began to study medicine at Lahore’s King Edward’s Medical College. After Junoon released their self-titled debut album Nusrat Hussain departed from the band and then Salman Ahmad contacted O’Connell and invited him to play bass on the band’s second album. O’Connell quit his job as a social worker and traveled to Karachi, Pakistan, where he reunited with his old friend. It was after ten years the friends reunited. In 1992, the band started working on their second studio album. The album was recorded and mixed at Tahir Gul Hasan’s Sound On Sound recording studios in Karachi. While working on their second album at one side, on the other hand the band also featured in a television series, Talaash, directed by Atiqa Odho and written by Anwar Maqsood, based on the true story of the band in which the band members acted themselves and due to its novel storyline it became an extremely popular television series in Pakistan. O’Connell continued to play for Junoon until their seventh studio album, Dewaar, the album which last featured the trio together. However, after the release of the album O’Connell went back to United States.